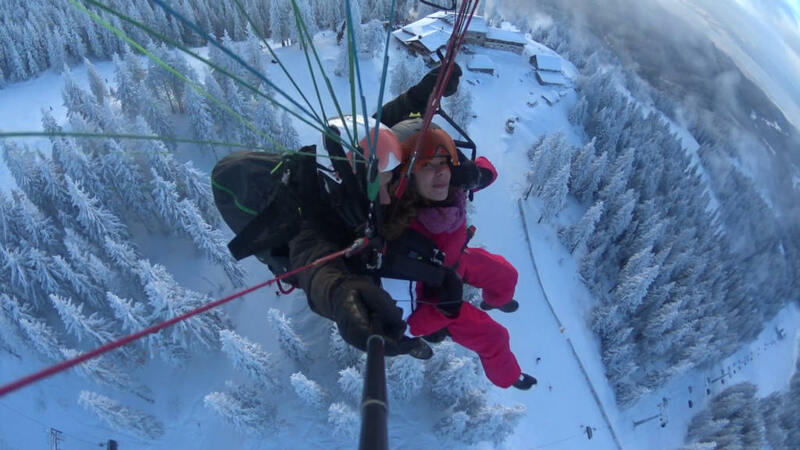 Paragliding tandem flight in Romania, Poiana Brasov. Reserve here. our locations or type of flights you can choose from? There are no age limitations but children will fly only with the parents written agreement. No previous experience is required, however the passengers must be ready to make a few running steps for the take off and another few for the landing. The adequate outfit when coming for flight should include mountain/sport shoes long sleeves and trousers (even in the summer time). For the cold season you should dress adequately, ideally a sky/snowboard clothing. A paragliding flight can be reserved online or by phone or email at ant time but we are 100% dependent on the meteo conditions, especial the wind direction and intensity. As a direct conclusion, any reservation with us will be re-confirmed with max. 48 hrs prior to flight. Your safety is a top priority for us, therefore we reserve the rights to re-schedule or cancell the flight in any moment if the meteo conditions are not adequate for paragliding flights. When you choose us you can rest assure that we fly only with last generation certified equipment and our pilots have hundred of hours in flight. For an extra confidence in safety we always carry a reserve parachute with us, even if we never used it. Wearing a protection helmet is also compulsory and we will happily provide it to you, along with an airbag harness for the passenger. Despite our precautions, incidents can appear especial due to passengers not respecting pilot's indications on landing and take off. 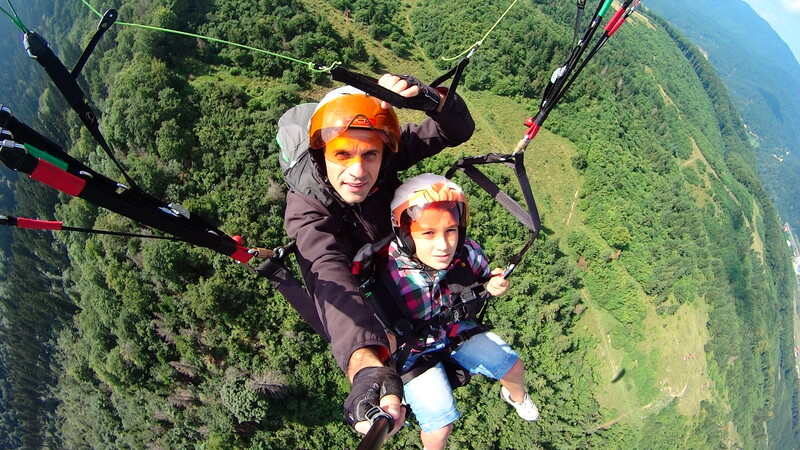 Paragliding flight is ultimately a choice of every passenger.